Dissolve away clogs and gunk. 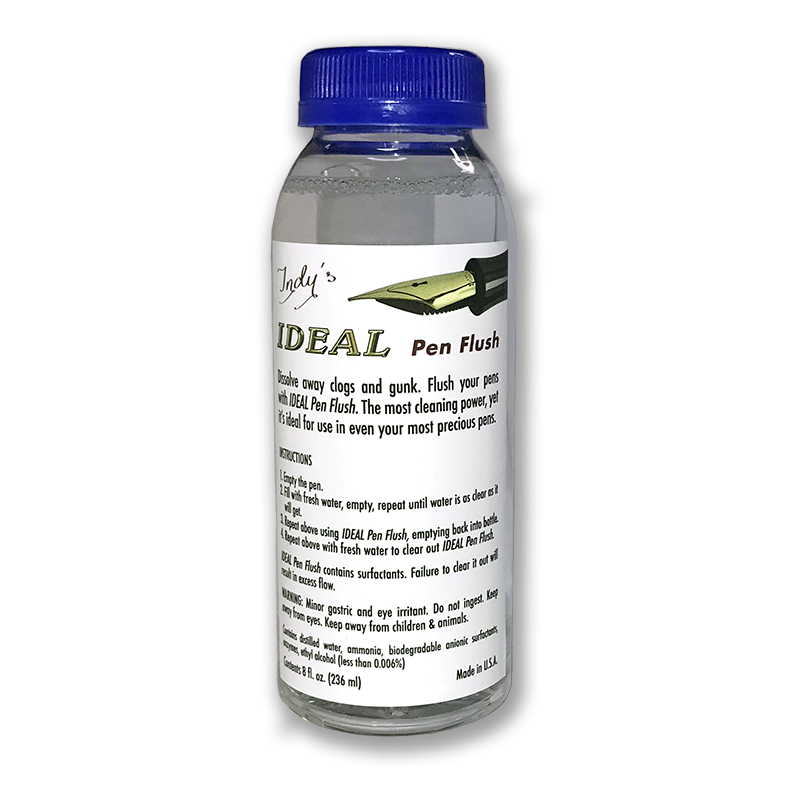 Flush your pen with Ideal Pen Flush. The most cleaning power, yet ideal for use in even your most precious pens! An essential part of using a fountain pen is taking care of it. It’s not enough just to fill your pen, write it empty, fill it again, and keep doing this ad infinitum. Just as you need to change the oil in your car, you need to flush your pens every so often. 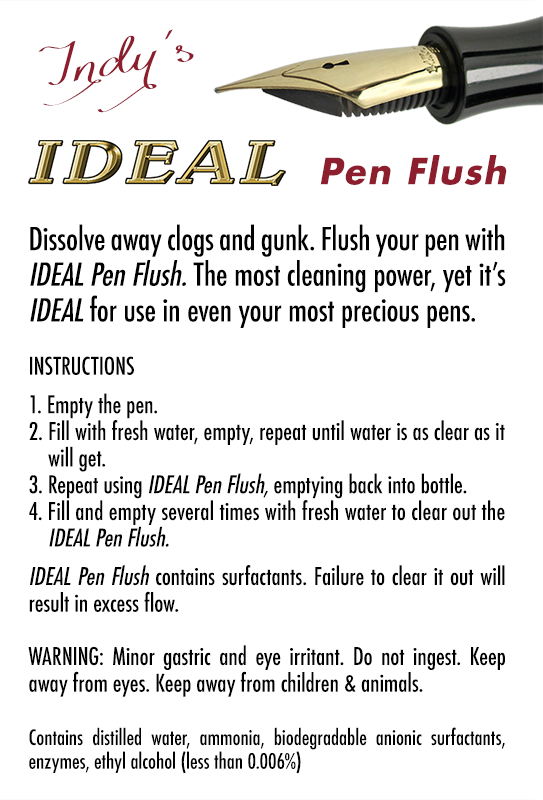 This is why we offer our Ideal Pen Flush. This new formulation of surfactants and cleaning agents will keep your fountain pens working at their ultimate peak. It resolves most clogs and aids in reducing recurrences, improves weak flow due to old dried ink, and eradicates the old color when changing inks. Full instructions are on the bottle. 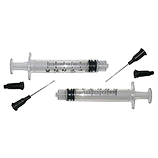 This product is good for the "Parker 51", which is especially difficult to clean; for ordinary pens, which are easy to clean; and for all of your most precious pens. 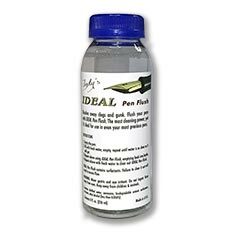 The life of Indy's Ideal Pen Flush depends on how frequently you clean your pens; how carefully you follow the instructions; and what kind of ink you’re using. How do you know when it‘s time to replace your bottle? When you can no longer see through the solution when you hold the bottle up to a bright light, the solution is spent and should be replaced. 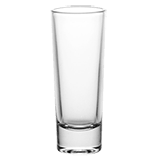 You can dispose of it safely by pouring it down any sink drain. Follow with running water for a few seconds to wash the drips away. Just as different manufacturers’ inks behave differently in various pens, so do different colors in any given manufacturer’s line. In general, blues are probably the most forgiving, with reds the most likely to cause trouble if you don’t head it off. 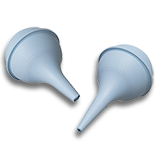 We recommend a complete flush with Indy's Ideal Pen Flush every other filling or when you are changing colors. 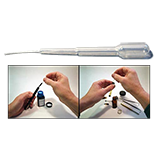 For in-depth instructions of proper cleaning of fountain pens visit our How To Clean Your Fountain Pen page.